CamelBak: The Lobo is ideal for days when the weather is clear and the trail is calling—days when you want to ditch most of your gear to travel fast and light. With 3 liters of hydration capacity, it carries enough water for a substantial 3+ hour ride, and the external fill means you can top off the reservoir without unpacking anything. PACK ONLY WEIGHT: 480g / 1 lb 0 oz TORSO FIT RANGE: 43 - 53cm / 17 - 21 in WAIST FIT RANGE: 66 - 116cm / 26 - 46 in FABRIC: 100D Robic Nylon Dobby / 210D Nylon Oxford FEATURES: • The brand new Crux delivers 20% more water per sip, with an ergonomic handle for easier refilling, and an on/off lever that makes it easy to prevent leaks. • Magnetic Tube Trap™ keeps your tube secure and accessible when you need it. • Air director back panel offers air channels to keep your back cool. • External hooks let you carry your helmet while still allowing full access to your pack. • Stretch overflow storage compartment lets you easily stash a rain shell or extra layer. • Reflective accents for visibility in low-light environments. 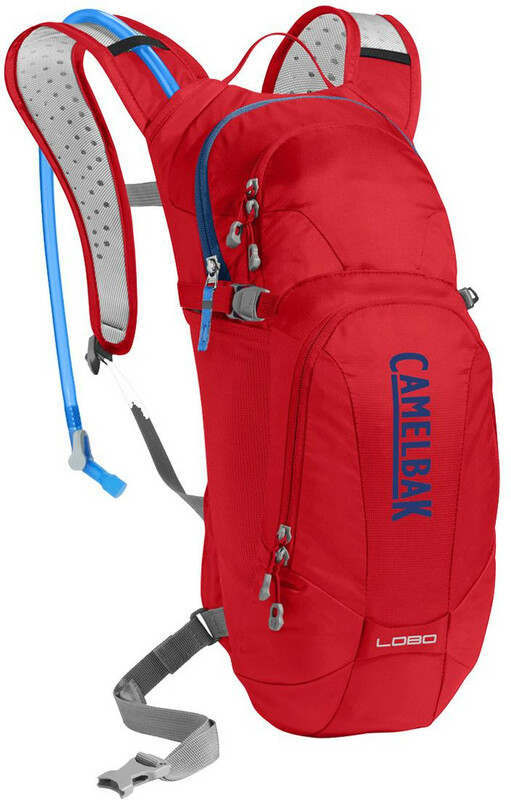 • Removable stability belt helps to keep pack secure over technical terrain.